Allowing Iran to delay inspections of suspect nuclear sites for up to 24 days will facilitate cheating by Tehran on the nuclear deal reached in Vienna, according to the former deputy director of the International Atomic Energy Agency who dealt with past Iranian nuclear cheating. Olli Heinonen, a 27-year veteran of the IAEA until 2009, also said in the past Iran had "sanitized" two suspected nuclear sites by refurbishing and repainting the locations in an effort to hide illegal uranium enrichment from inspectors. The former IAEA deputy director voiced skepticism about the inspection provisions for suspected nuclear sites contained in the deal reached with Iran, the United States, and five other nations on July 14. "Iran has not changed its nuclear course. It’s keeping all the options open" for building nuclear arms, Heinonen said, adding that Iran has signed an IAEA additional protocol permitting short-notice inspections but is delaying ratification for eight years. In a meeting with reporters, the Finnish nuclear expert said components for nuclear bombs or warheads can be put together in a relatively small space, some 239 square yards in size. With a dispute settlement process that gives the Iranians 24 days before allowing inspectors in, hiding nuclear arms development work will be made easier, he said. The Iran accord requires Tehran to resolve any disputed requests by the IAEA for inspections of suspect nuclear sites within 14 days. If the dispute is not resolved, an appeal would be made to a joint commission of representatives of the six nations that then have a week to deal with the issue. 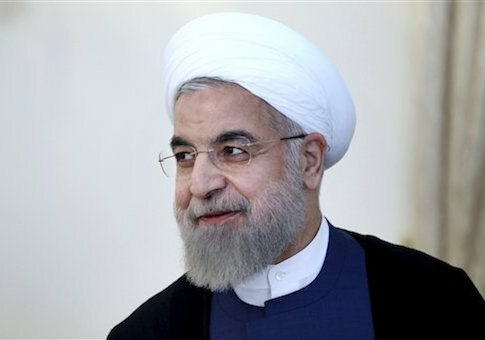 Iran would be required to comply with commission requests in three days, for a total of 24 days of the dispute resolution process. Large facilities such as Iran’s Natanz, where large numbers of centrifuges are kept, will be easier to monitor. But small, clandestine sites can be dismantled in 24 days. "Much of this equipment is very easy to move," Heinonen said. "So you can take it out over the night … and then there is this dispute settlement time which is 24 days—you will use that to sanitize the place, make new floors, new tiles on the wall, paint the ceiling and take out the ventilation." A large-scale enrichment plant would not be easily scrubbed in 24 days, but smaller covert facilities that are used toward the end of the nuclear weapons process can be hidden or sanitized in 24 days, he said. "You can compare it to your home," Heinonen said. "This [nuclear] equipment can be taken out in one or two nights. How long will it take for you to renovate your home? It doesn’t take three weeks." A case in point involved two suspect Iranian nuclear facilities in 2003. IAEA inspectors sought to visit Kalaye Electric Company and the Lashkar Abad laser uranium enrichment plant, both covert facilities in Tehran. In the case of Kalaye, the Iranians delayed access for two weeks and during that time completely renovated and scrubbed the site to remove all traces of uranium enrichment. Traces of uranium that had been supplied by Pakistan were found at a different location in the Kalaye complex but not at the site that was cleaned by the Iranians to remove signs of enrichment. Additionally, the nuclear agreement also gives Iranian officials the ability to question why inspectors want to examine suspected facilities, a concession that will make it easier to cheat. "It’s a little like a criminal investigator who goes somewhere and says, ‘You know, I came to see you because I saw there was a knife with your fingerprints and you know, we had a camera that said you were there Monday morning,’" said Heinonen, who is now affiliated with Harvard University’s Belfer Center for Science and International Affairs. "You can’t conduct an investigation that way. So one has to be very careful in approaching, particularly when go to the place that would be a clandestine or disputed facility." Asked about Iran’s past military development of nuclear weapons, Heinonen said years ago Iran initially agreed to reveal work with explosives on a warhead, but then backed down and declined to reveal it to IAEA inspectors. On Sunday, Secretary of State John Kerry and Energy Secretary Ernest Moniz defended the nuclear agreement, which is facing a 60-day review period by Congress. Kerry denied he had been negotiating for "anywhere, anytime" inspections and said 24-day delays will be sufficient to detect nuclear work. "There is no such standard within arms control inspections," Kerry said on Fox News Sunday. "We never had a discussion about ‘anywhere, anytime' managed access." Moniz said in April, after Iran claimed that military sites would be off-limits to inspectors in a final agreement, that "we expect to have anywhere, anytime access." White House Deputy National Security Adviser Ben Rhodes also stated in April that "we will have anytime, anywhere access [to] nuclear facilities." On Sunday, Moniz said: "It’s virtually impossible to clean up that place. You can paint the floors. You can do what you want. We feel very confident that one would find the evidence of nuclear activity." President Obama said in announcing the deal that IAEA inspectors would "have access where necessary, when necessary." "Secretary Kerry has said if there is big installation, 24 days is enough," Heinonen said. "But there are certain activities where unfortunately in my view, it’s not enough." If Iranian officials do not dispute inspection requests there will be few problems, he added. "But if they decide to fight … 24 days is a long time," Heinonen said. This entry was posted in National Security and tagged Iran, Iran Nuclear Deal, Nuclear Weapons, Sanctions. Bookmark the permalink.